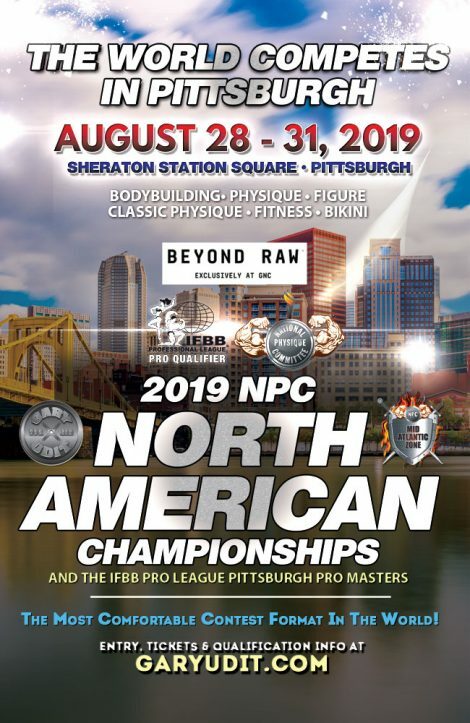 THIS PAGE IS FOR THE NPC NORTH AMERICAN CHAMPIONSHIPS, which is the AMATEUR event for NPC competitors. COMPETE AGAINST THE BEST IN THE WORLD! All contestants who are U.S. Citizens must show proof of United States citizenship, such as a birth certificate, U.S. military discharge, or passport. You may bring this to athlete check-in. This is an OPEN event for athletes from Canada. Must be a current member of the CPA, with an official letter of approval from the CPA www.canadianphysiquealliance.com or contact ronhache@unitz.ca directly. THE MOST COMFORTABLE CONTEST FORMAT IN THE WORLD! 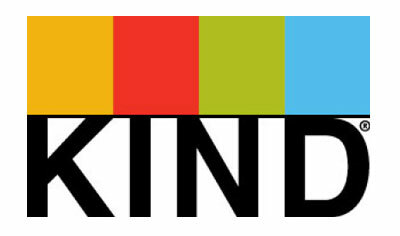 You may enter the event online, and receive instant confirmation of your entry. To enter, click the button below. See Entry Info Down Below. Online Entry is INSTANT and SECURE. If you want to MAIL IN your entry instead, scroll to bottom of this tab for a link to mail-in form. ONLINE ENTRIES CLOSE on SUNDAY, AUGUST 25 at 6pm EASTERN. You will NOT be able to enter ONLINE after that time, but you MAY enter or add classes at athlete check-in. See the check-in tab for check-in times. A LATE FEE OF $225 WILL BE CHARGED ON ANY ENTRY AFTER WEDNESDAY AUGUST 7 TH AT 6PM EASTERN. You may enter, ADD extra classes, or purchase NPC Card at ATHLETE CHECK IN for all events. However, there is NO registration on the DAY YOU COMPETE! There are NO REFUNDS for Entries or Ticket Purchases for Any Reason. USE THE BUTTON BELOW TO ORDER TICKETS. There will be plenty of tickets available, so please get your tickets at the door or check-in. TICKETS WILL BE ON SALE ONLINE THROUGH WEDNESDAY, AUGUST 7, 2019 at 6pm EASTERN. YOU MAY ALSO PURCHASE TICKETS for either FINALS OR PREJUDGING AT ATHLETE CHECK-IN or at the door. There will be plenty of seats available. Text Gary at 412-377-1438 with any questions. NOTE: IF YOU ARE COMPETING IN THE EVENT, YOU DO NOT NEED TO PURCHASE A TICKET FOR YOURSELF! YOUR COMPETITOR NUMBER IS YOUR TICKET! No Refunds for Entries or Ticket Purchases for Any Reason. NO WEIGH-IN / CHECK-IN IS PERMITTED ON WEDNESDAY FOR BIKINI AND IFBB PRO LEAGUE PITTSBURGH PRO MASTERS WOMEN! NO WEIGH-IN / CHECK-IN IS PERMITTED ON THURSDAY FOR WOMEN BODYBUILDING, WOMEN PHYSIQUE, FIGURE AND FITNESS! NO WEIGH-IN / CHECK-IN IS PERMITTED ON FRIDAY OR SATURDAY! IF YOU HAVE PROBLEMS BOOKING, CONTACT GARY AT 412-377-1438 (text preferred). The rooms are based on availability. FYI COMPETITORS!! They will have a bodybuilding menu and microwaves. Terms & Conditions Apply at All Hotels. The tanning professionals at OLYMPIA TAN will spray-tan you using state-of-the-art airbrush spray. They also provide expert services for your hair and make-up. The hair and makeup stylists at OLYMPIA TAN will provide you the perfect look at your event! BRING A CD, preferably CD-R format, with only YOUR SONG SELECTION on it! 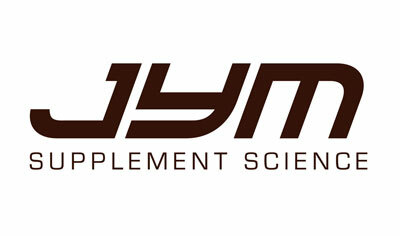 All Bodybuilding, Classic Physique, Women Physique and Fitness contestants MUST supply their own music. ALL music will be collected as the competitors Weigh-In so please bring a CD!. ALL MUSIC WILL START WHEN THE COMPETITOR NAME IS ANNOUNCED, 70 SECONDS MAXIMUM (except FITNESS, which has 2 minutes of music). Posing music must be the only music on a CD and MUST be no longer than 70 seconds for all divisions, except Fitness which gets 2 minutes of music. Top 2 in each class at a national level event qualify for national level events thru the next calendar year. 4 FULL DAYS! 4 COMPLETELY SEPARATE EVENTS!! THE SCHEDULE OF EVENTS IS BELOW, FOLLOWED BY THE ORDER OF THE SPECIFIC CLASSES EACH DAY. The following divisions on Thursday thru Saturday are for AMATEUR (NPC) competitors in the North American Championships as well as MEN’S PRO Divisions (Saturday). Attention Figure and Bikini Athletes! FYI – The stage WILL be carpeted! Top 5 Competitors Bodybuilders Will Perform Their Routine, and all Fitness competitors do their routine. Top 5 competitors in each Height Class will perform a 70-second posing routine to their own music. Masters Divisions: Competitors must be the correct age or older for their class on the day of the competition. NOTE: For Classic Physique, your competition bodyweight is regulated by your height. If you do not fall within BOTH the height and weight parameters shown below, you will have the option of competing in the BODYBUILDING or MEN’S PHYSIQUE divisions. We have added a 4th height class — Class D, to MEN’S CLASSIC PHYSIQUE OPEN — to accomodate the number of competitors. Competitors are required to wear posing shorts. You are “NOT” to wear board shorts or Bodybuilding posing trunks. We have provided an image of the NPC Competition Classic Physique shorts below. Competitors are required to wear the same type of cut and all shorts that are worn in competition must be black. Review all qualification requirements below. All contestants who are U.S. Citizens must be prepared to show proof of United States citizenship, such as a birth certificate, U.S. military discharge, or passport. You may bring this to athlete check-in. Please review qualifying requirements above and below. This is an open event for competitors from outside of the US. Canadian competitors must be a current member of the CPA, with an official letter of approval from the CPA www.canadianphysiquealliance.com or contact ronhache@unitz.ca directly. U.S. Competitors in any OPEN division need to have qualified after January 1, 2018, plus meet the ADDITIONAL REQUIREMENTS BELOW. Open Competitors in the divisions ABOVE who are qualifying in 2019 must place in the top 2 in their Open class. Open Competitors in the divisions ABOVE who qualified in 2018 need to have placed in the top 2 in their weight/height class at a national qualifying contest. For Open Women’s BB and Open Fitness, competitors must have competed in any NPC event after January 1, 2018. No placing is required. All U.S. contestants must be a member of the NPC National Physique Committee and bring their NPC card to check in or purchase one there. To register for your NPC card, NPC Card Tab elsewhere on this page, or contact the NPC at address below. Preferably buy your card online using link below! Competitors may also register for an NPC card at the Check-In/Weigh-In – $125. NPC registration is now available online at the NPC website, or you may get an NPC card at the event. Get it ahead of time if possible!! The online NPC printable green membership card is distinctively different to denote online registration from the mail in version that remains available. Athletes can present the new printable online membership card at the contest check in or on any portable device such as an iPhone or tablet. Competitors must be the correct age or older for their class on the day of the competition. Proof of age is best accomplished by birth certificate, passport or military discharge. The Top 5 competitors in each Class of Bodybuilding, Women Physique and Men Classic Physique will perform their routines at the Finals. FINALS routines will be limited to 70 seconds. Competitor posing music must be the only music on a CD and can only be a maximum of 70 seconds. ALL posing music will begin when the competitor’s name is announced. The top five competitors in each weight/height class or age group will be awarded trophies plus an overall award where there are multiple classes. For a list of PRO CARDS to be given at the event, click the PRO CARDS tab elsewhere on this page. Trainer MUST have a ticket to the event. Trainers Pass may be purchased at the Check-in/Weigh-in or at the door.